Spermicide, most often nonoxynol-9, is commonly used as a lubricant in condoms, but in gel or suppository form it can also be used as a standalone birth control. 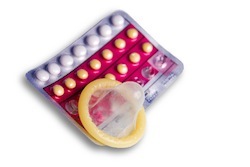 Researchers from the University of North Carolina Chapel Hill recently completed a study review of trials reporting pregnancy rates among women using spermicide as standalone contraception. The study was published in the Cochrane Database of Systematic Reviews. According to researchers, trials were pulled from various study databases, including Medline, Embase and Clinicaltrials.gov. Fourteen trials were pulled for the initial review. Trials that did not provide adequate reports on pregnancy rates were not included in the study. Three levels of nonoxynol-9 were studied – 52.5 mg, 100 mg and 150 mg. At 52.5 mg, nonoxynol-9 was least effective at preventing pregnancy with pregnancy rates of 22%. Pregnancy rates decreased with increased amounts of the spermicide – 100 mg (16%) and 150 mg (14%). Conclusion: While spermicide does reduce pregnancy risk, it is not as effective as other forms of standalone contraception like condoms. When using spermicide alone, women may have a risk of pregnancy up to 22%. Source: Grimes DA, Lopez LM, Raymond EG, Halpern V, Nanda K, Schulz KF. Spermicide used alone for contraception. Cochrane Database Syst Rev. 2013 Sep 30;9:CD005218.